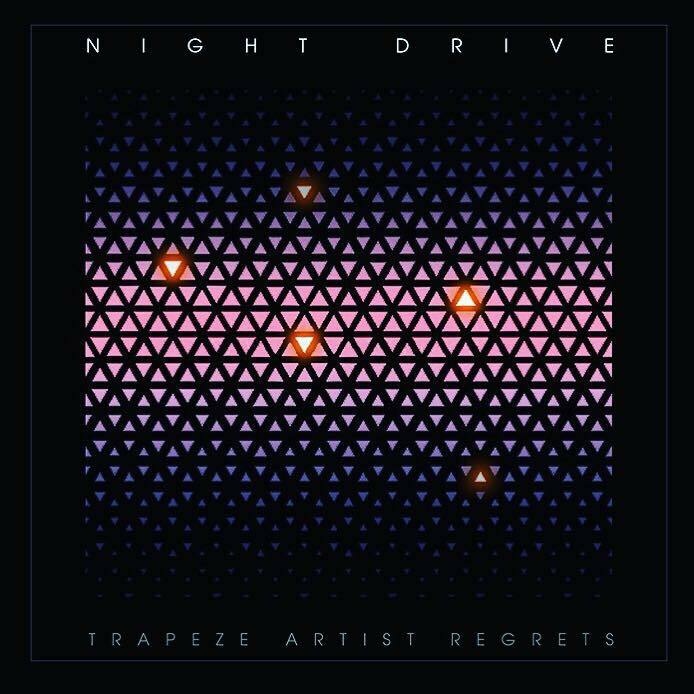 Sci-Fi Synthpop Invigorates on Night Drive's "Trapeze Artist Regrets"
Comprised of Rodney Connell and Brandon Duhon, Night Drive is a Texas-based electro duo who draw inspiration from sci-fi and modern electropop. “Trapeze Artist Regrets” is from their debut self-titled record, which will be out on June 16th. Having toured alongside CHVRCHES, Austra, Robert DeLong, and Miami Horror, Night Drive is getting ready to hit the stages again. While SXSW features exotic music like throat-singers from the steppes of Mongolia or flute bands from the peaks of the Andes, we must not forget that some of most exhilarating music comes from our own backyard. Here are 11 bands that will be slaying at SXSW this week. Cutting vocals in the woods behind his college dorm. Mixing in the backseat of a sedan. Sneaking into the music department after hours to teach himself to play new instruments (and sneaking out before the faculty arrived in the morning). From the start, Mobley's work has been marked by solitude, ingenuity, and a drive that could only be called obsessive. Whether you experience his music on record or at one of his incredible live shows, the passion is palpable. Mobley grew up all over the world, from the Spanish Mediterranean to the California coast. Perhaps it's because of this itinerant childhood that he finds it so hard to sit still. Inspired by sci-fi cinematic landscapes, Night Drive creates modern synth-pop that explores the darker currents of abstract emotion. Infectious melodies wrapped in thoughtful lyrics with pulsing dance beats unveil a stylish, energetic sound that has been featured in film, tv and radio around the world. Touring and opening for international bands such as CHVRCHES, Robert DeLong,Tesla Boy, Miami Horror and The Psychedelic Furs, Night Drive has quickly garnered a reputation as a captivating, must see live show. Black Joe Lewis trawls the familiar intersection of blues, soul, funk, and garage rock, but he's got a few enlivening strategies to make the old formula feel fresh. Los Coast's music is a punchy, psych-tinged, lyrical variety of soul. For the band, comprised of Trey Privott, John Courtney, Megan Hartman, Damien Llanes, and Natlie Wright, this style of music is uniquely effective medium of communication. Born in Austin, Texas, Mélat is the eclectic soul of modern RnB. Mélat tells a story that is both challenging and inspiring crafted from her very own life experiences. It is a pure and honest reflection of her soul. From love, lust, success, to failure Mélat sings of what it means to be a human being simply longing to “be”. 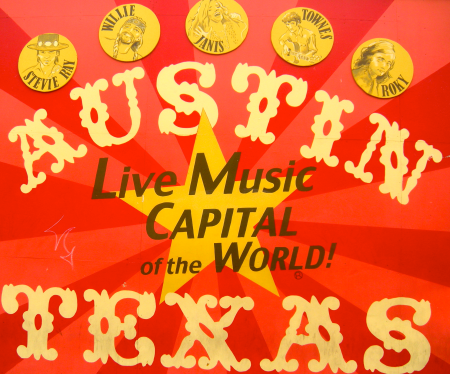 Quickly becoming the most anticipated live shows in Austin, Sweet Spirit is on a roll. In between shows, the band found time to work with producer Steve Berlin (Los Lobos, Deer Tick) on their sophomore full-length St. Mojo. The new record comes out on April 7, 2017 on Austin label Nine Mile Records and features a bigger, more dynamic set of songs. Lead single "The Power" has already become a fan favorite at live shows, while the Queen-esque track "The Mighty" and Prince dance funk of "I Wanna Have You" take the band is exciting, unexpected new directions. Guest contributions from members of Grupo Fantasma, Mother Falcon and A Giant Dog help expand the band's already considerable sound. Annabelle Chairlegs plays out around town often, exuding polished, glitzy, Sixties-inspired rock & roll fleshed out by guitar licks straddling the line between surf-y and noir. Helmed by Mackin's strange, arresting voice, usually either a powerful belt or contorted into theatrical yelping, the band commands the stage with intense authority. An artist creates to evoke a reaction, and Forrest and Isaac Ross Lemaire of Mr. Kitty are electro-goth sorcerers who succeed in creating an 8-bit dreamworld for their listeners. Not quite neophytes, Mr. Kitty have had five previous releases, and their discography runs the gamut between wistful tracks of wintered melancholy to frenetic electro-bangers of seizure-inducing speed. The constant through all of their music is the gothic romanticism of Forrest's lyrics and the perpetually evolving innovativeness of Isaac's hard-hitting beats and crystalline synths. CAPYAC is a surreal dance act made up of one half swamp baby (P. Sugz), one half agave plant (Potion). To question the origins of the band is to ponder the origin of humanity itself. When founding member Potion stumbled upon the name, half-conscious on his bedroom floor at 3 a.m., it was nonsense, much like the primordial soup from which life on this planet emerged. S U R V I V E has been producing synth-heavy, horror-score-influenced compositions for years, and two of the group's members are known for crafting the critically acclaimed score for the popular Netflix series Stranger Things. For almost a decade, the band has explored these themes with drum machines and analog synths, shown on numerous EPs and on their first full-length, Mnq026 from 2012. Releasing their second full-length record 'RR7349' last September on Relapse Records, S U R V I V E kick off their 2017 globe-trotting, festival-heavy tour schedule with a series of shows for SXSW in their hometown of Austin, Texas.